Win - BELLAMY (4-0). Loss - VAUGHN (0-1). Save - None. WP - HERNANDEZ(6). HBP - by MITCHELL (DiNATALE). MARTIN faced 1 batter in the 8th. field. ALONSO walked; JACKSON advanced to second. RABEN struck out swinging. SOBOLEWSKI grounded out to 3b. 0 runs, 1 hit, 0 errors, 2 LOB. struck out swinging to catcher. 0 runs, 1 hit, 1 error, 1 LOB. middle. GRANDAL singled through the right side; DiNATALE advanced to third. scored. TEKOTTE homered to right center, 3 RBI; PERRY scored; GRANDAL scored. 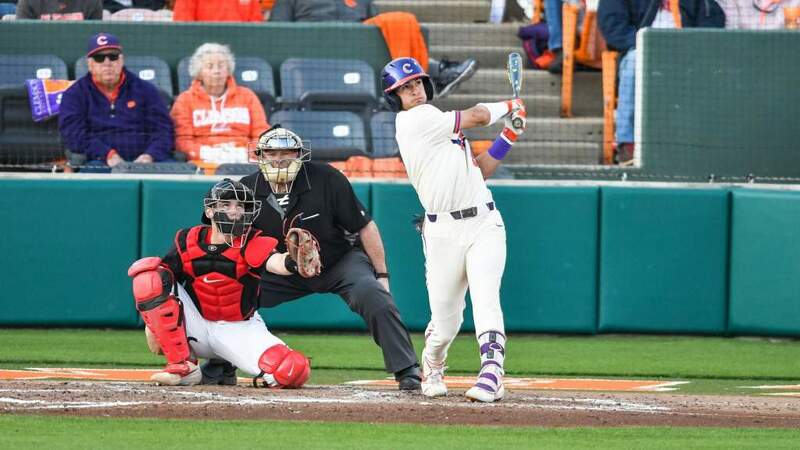 Clemson 4th - PARKER struck out swinging. SCHAUS grounded out to 3b. BOYD grounded out to 2b. 0 runs, 0 hits, 0 errors, 0 LOB. Clemson 5th - SANDERS doubled to right center. LEE struck out swinging. to 1b unassisted. SCHAUS struck out swinging. BOYD singled down the lf line. 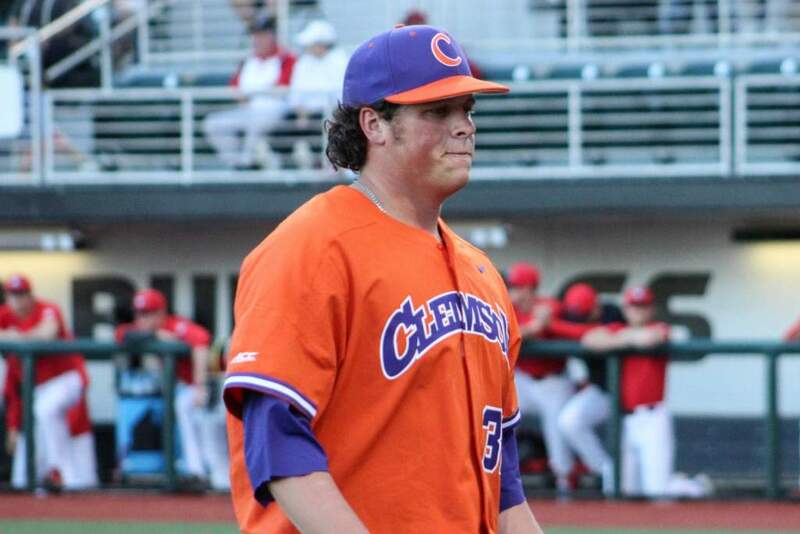 Clemson 7th - SANDERS struck out looking. NESTER pinch hit for LEE. grounded out to 2b. RABEN struck out looking. SOBOLEWSKI struck out swinging. second. GRANDAL fouled out to 1b down the rf line. WEEKS pinch hit for PERRY. WEEKS out at first 1b to p. 0 runs, 1 hit, 0 errors, 1 LOB. Miami (FL) 9th - VAUGHN to p for SARRATT. TEKOTTE grounded out to 2b.